The United Nations General Assembly has proclaimed 2010, International Year for the Rapprochement of Cultures, and calls out a design competition for the official poster. From 50 selected posters, 30 posters will be printed for an exhibition to be held at UNESCO Headquarter in May 2010 in the framework of the International Festival of Cultural Diversity. The official brief and the rules are posted here. Jean-Francois Lepine works as Lead Character Artist for a game development studio in Foster City, California. Some of his personal work is posted at CGSociety. He discribes the walk cycle (image above) as follows: "Technical Animaton in XSI using mostly curves as trajectory. Skin muscles and face expressions are a combination of shape keys, plotted deformation, SDKs and other blended deformations. 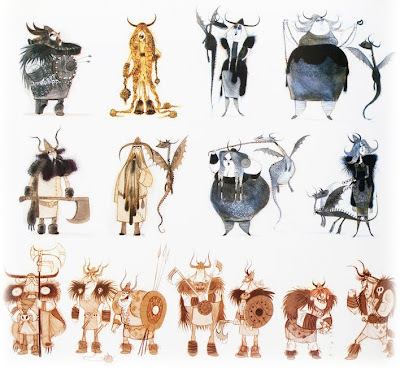 Rendered in mental ray..."
This Book is a spectacularly designed, full-color insider’s guide to the creative process that went into turning Cressida Cowell’s popular book into a feature-length, animated film. Featuring more than 350 pieces of development artwork, including early character designs, story sketches, and concept paintings from industry veterans such as Pierre-Olivier Vincent(cover), Nicolas Marlet(below), Zhaoping Wei, Kirsten Kawamura and Simon Otto. 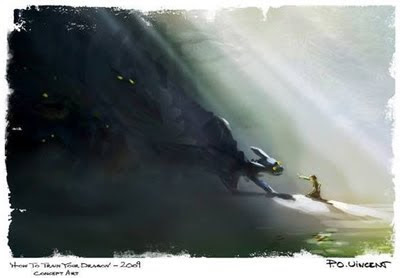 The Author, Tracey Miller-Zarneke, is the former Production Department Manager for Walt Disney Feature Animation and author of The Art of Kung Fu Panda. More preview pics and a little movie, flipping through the pages on ParkaBlogs. Jean Giraud came to public attention in the USA in the 1980's after his work was published in the science fiction magazine "Heavy Metal", an American version of the French publication "Metal Hurlant". Since the '60s he published more than 25 graphic novels including strips such as Blueberry, Arzach, or Silver Surfer. 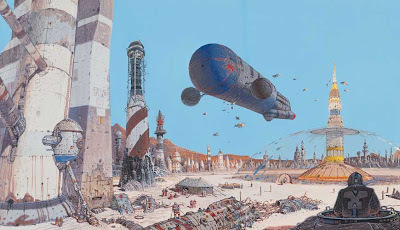 In addition, Moebius (Jean Giraud) has contributed to the set designs of numerous film productions, including Alien, The Abyss, Dune and The Fifth Element. Moebius Redux (video) takes extraordinary visual paths in documentary filmmaking and goes on a mind-bending tour of imagination past, present and future. FMX is an event in cooperation with VES Visual Effects Society, AIAS Academy of Interactive Arts and Sciences, ACM Siggraph and 5D Conference. The recruiting section is growing constantly. So far Animal Logic, ARRI, Black Rock Studio, Cinesite, Double Negative, Framestore, Pixomondo, Red Vision, ScanlineVFX and RTT have confirmed their participation. Due to popular demand, The Gnomon School has extended it's online Master Classes event! Each 2-3 hour lecture focuses on a different element of the VFX & Games industries in a private forum where the instructors have shared a variety of insights and answers to previous attendee’s questions. Lectures will be give by industry veterans such as Feng Zhu, Neville Page, Iain McCaig and others. 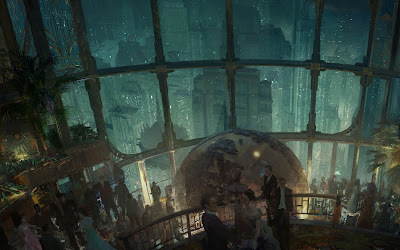 Renowned digital painter Craig Mullins (image below) shares how he applies the timeless values behind traditional art to digital art.